Duplicate Meta Description in Search Console is something that everyone faces when they start blogging especially if you are a newbie. I also faced a similar problem when I started my blog. But, before you learn how to fix Duplicate Meta Description in Blogger. You must know which pages are having Duplicate Meta descriptions. In order to check duplicate Meta description of your site, you need to go to Google Search Console. But if your pages have some issues and need to be fixed then, your screen will look like this one. 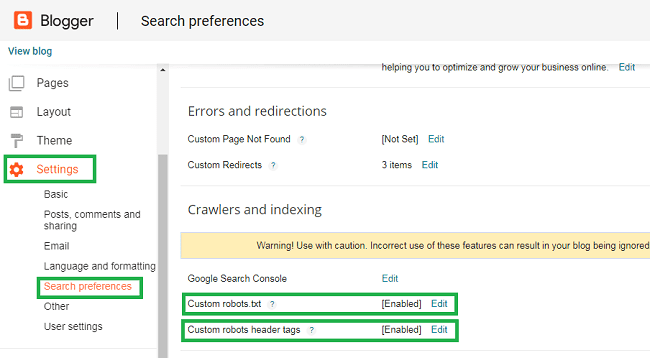 Fixing Duplicate Meta Description is very easy and you just have to add a Custom Robots.TXT file and make some changes in Custom Robots Header Tags. Step 1. 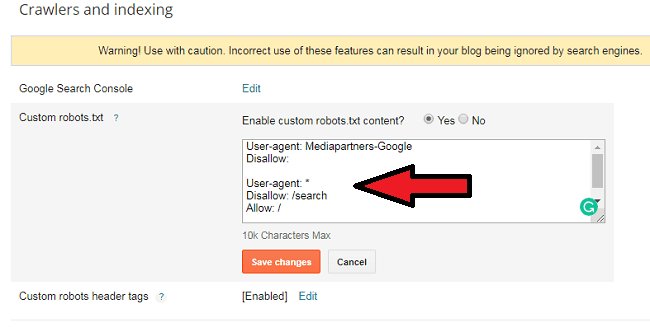 Login to your Blogger blog and select Settings and click on Search Preferences. Step 2. Under Crawlers and Indexing tab you will get Custom robots.txt. Click on Edit and paste the below code in the box under the Custom robots.txt. Note: Change the URL wonderkrish.com with your own site/blog URL. Step 3. Now, just below the Custom robots.txt there is an option for Custom robots header tags. Click on edit and following changes. 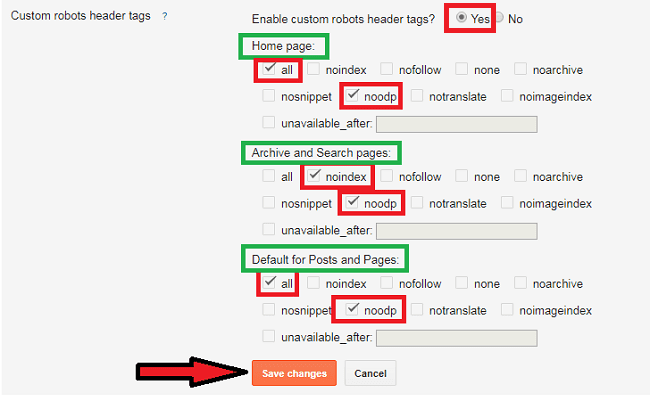 Enable custom robots header tags – Select Yes. When you select Yes, you will get a set of option, which you may think it will be a mess and complicated. But don't worry, you can do it by yourself if you read all the purposes of Custom robots header tags. If not, you can just follow the instructions and do the changes as below. If you are using Blogger BlogSpot, then you will have the following Custom robots header tags. all – If you set this tag, the crawlers will have no bound by any constraints and crawlers can crawl, index and expose your site’s content freely. noindex – If you set this tag, it will prevent search engine bots from indexing your pages. nofollow – If you set this tag, you are not allowing search engine bots to look through your links. none – none is a feature that combines both noindex and nofollow tags. Hence, the crawlers will neither index your blog’s page nor look through your links. noarchive – If you set this tag, you will turn off the cached version in search pages. nosnippet – If you want to only keep your content exclusive, you can turn this tag on. noodp – noodp is an Open Directory Project or Dmoz. It is actually a man-made directory for websites that Google sometimes uses this information. notranslate – If you don’t want your site to be translated then you can set this tag. noimageindex – If you set this tag, you will prevent Google and other search engine bots not to index your site’s images. unavailable_after – When you set this tag, you will be asked to set a specific date. And the date you mention will be the de-indexed time of your web pages. After making all the changes, click on Save changes in order to save your settings. Kindly Note: When you make changes in your custom robots.txt and custom robots header tags. Google Search Console takes some time in order to crawl your site and to solve the HTML Improvement issues. So, frequently check Search Console data in order to detect whether your problem has been solved or not. I hope by doing this changes and improvements your Duplicate Meta Description issue will be resolved and it also further optimize your blog's code structure and help search engine robots to crawl your blog better and index your contents.